Neptune tankers 01 and 41 at Medford Air Tanker Base June 9, 2016. Photo by Kristin Biechler. A recent study commissioned by the U.S. Forest Service recommends keeping the air tanker base at Medford, Oregon open if other agencies can begin paying a portion of the $245,000 annual operating costs. Apparently closing the base was on the table, in part because it is only 55 miles away from another base at Klamath Falls, Oregon. Local politicians in Oregon have been working to keep Medford open after word spread in March that the study was underway. “Closure of either base at this time would be counterproductive to ensuring rapid response times to initial attack of fires since both bases are fully functional and in good condition,” Northstar Technology Corp. concluded in the study. The study found that the savings from closing one base would be gobbled up by the $281,000 increased costs of flying retardant further distances from the one remaining base. With two open, one base can keep operating if the other is socked in with smoke, the study said. Forest Service officials said the trend of larger fires appears to be migrating northward, making reliance on the air tanker bases more vital for Western Oregon and Northern California. Air Tanker 910 departs from Medford, July 28, 2017, en route to the Lake Fire in northeast California. Photo by Tim Crippin. BAe-146 drops on the Devore Fire, November 5, 2012. Photo by Rick McClure. The federal government spends around $100 million each year on large air tankers. A reasonable person would hope that the results of a very careful analysis determine the performance specifications and effectiveness of aircraft that are needed to assist firefighters on the ground to the greatest extent possible while still being a careful steward of taxpayers’ money. If the effectiveness of air tankers can’t be quantified, how to spend that $100 million is left up to the gut feelings of decision makers. In stories like this, we often include the disclaimer that air tankers do not put out fires. Under ideal conditions aircraft can slow a fire enough to allow ground based firefighters an opportunity to contain sections of the fire’s edge by constructing a fireline. Government officials often mention the 2012 Large Airtanker Modernization Strategy as a blueprint. However, that document does not make any independent conclusion about the number or types of air tankers. If you wade through the footnotes it actually refers to a 2009 study that recommended increasing the number of large air tankers on exclusive use contracts from 19 in 2008 to 32 in 2018. In addition there would be three water scooping air tankers by 2018, bringing the total up to 35. A report released by the Government Accountability Office in 2013 about air tankers pointed out some of the same issues that were in a 2009 audit by the USDA’s Office of Inspector General. 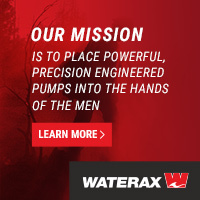 Both reports emphasized that the U.S. Forest Service and the Department of Interior need to collect data about the effectiveness of air tankers and put together a coherent plan on the management of the fleet, and a plan for the acquisition and justification of additional aircraft. 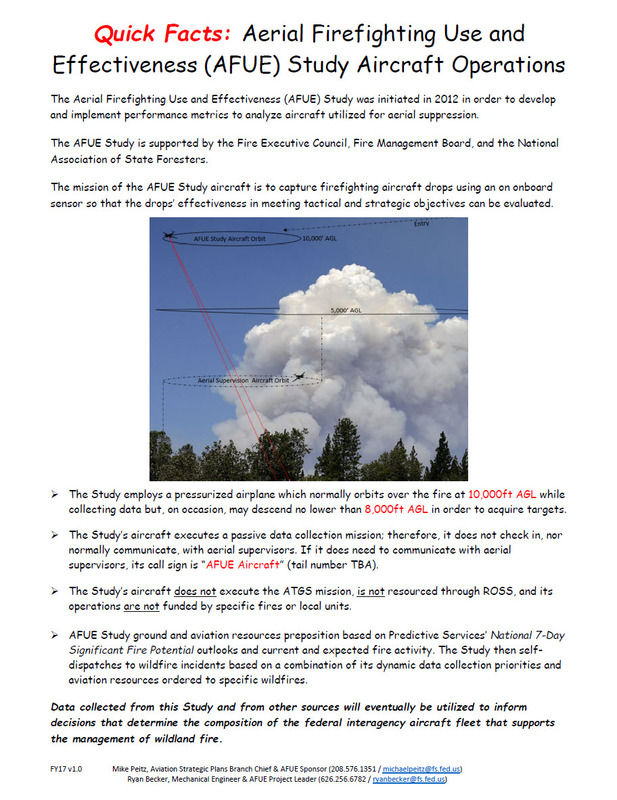 Due to these reports and repeated questions over the years by Senators and Congressmen, in 2012 the Forest Service began an effort to answer the question: “What are the best mixes of aircraft to do any fire suppression job?” Data collected from this study and other sources would be used to inform decisions about the composition of the interagency wildland firefighting aircraft fleet. 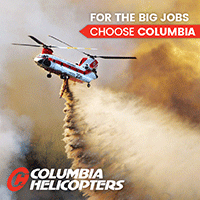 The study was named the Aerial Firefighting Use and Effectiveness (AFUE) Study. Now that it is June, 2018 we should have seen the data from at least 2015, 2016, and 2017. But, it is not available. Some would think that developing actual data to determine how to spend $100 million, year after year, should be a very high priority and would lead to finding solutions to staffing changes, retrieving aircraft use data, and completing reviews. To our knowledge the Forest Service never did release the findings of an air tanker study conducted by the Rand Corporation in 2012 even after we filed a formal Freedom of Information Act Request. The report was finally released by Rand two years after it was completed. When awarding the $840,092 contract the Forest Service told the company to not consider Very Large Air Tankers at all in making their recommendations for how the air tanker fleet should be configured. 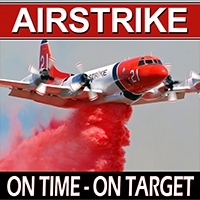 The study found that “the most cost-effective fleet of initial attack aircraft is dominated by scoopers, but airtankers play a niche role, particularly in fires that are not close to appropriate water sources.” In one variant, Rand said, “the optimal fleet is composed of eight 3,000-gallon airtankers and 48 1,600-gallon scoopers”. We heard from sources that the Forest Service was not pleased with Rand’s recommendations. It remains to be seen if the agency will release all of the data and conclusions from the AFUE study that is now in its seventh year. “It’s been my observation that if you don’t know how to derive your asset inventory objectives then you can’t explain or defend why you have chosen today’s particular inventory objectives. “If you can’t determine the effectiveness of each type of asset, you cannot explain why today’s particular inventory mix was chosen or why certain trade-offs were made due to budget cuts. “If you don’t know whether your primary mission requirement is Initial Attack or Extended Attack you cannot determine the mix of Exclusive Use contracts that can support IA, and Call When Needed contracts that take longer to get an asset on scene and would best support EA. 1. The mission is clearly defined. 2. The effectiveness of each type of asset utilized for mission execution is known. “At that point, budget impacts can be defined and dealt with objectively, contracts can be written that will provide the most mission effectiveness for the least cost, and the USFS will have definitive answers to questions about asset inventory, asset mix, and EU vs CWN contract mix. Does anyone know how many large air tankers we need? Two studies, completed 10 and 21 years ago, said there is a need for 35 or 41 air tankers. I would say we need anywhere from 18 to 28, you know that’s what it says in the [2012 Large Airtanker] Modernization Strategy. I think that’s a good range. Continued work is ongoing to determine the optimum number of aircraft to meet the wildfire response need, but studies have shown that it is likely that between 18 and 28³ aircraft are needed. ³The requirements for large airtankers have been derived from the “National Interagency Aviation Council Phase III Report, December 7, 2007”, and the “Interagency National Study of Large Airtankers to Support Initial Attack and Large Fire Suppression, Phase 2, November 1996”. The first of the two studies recommended increasing the number of large air tankers on exclusive use contracts from 19 in 2008 to 32 in 2018. Plus, there would be three water scoopers by 2018, bringing the total up to 35. The table below is from the study. Screen grab from the 2007-2009 NIAC Interagency Aviation Strategy document. Phase III, page 21. 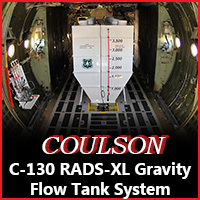 The second document, the 21-year old study from 1996, recommended 20 P3-A aircraft, 10 C-130B aircraft, and 11 C-130E aircraft, for a total of 41 large air tankers. The “18 to 28” air tankers mentioned in passing in the “2012 Large Airtanker Modernization Strategy” is not reflected in the referrals indicated in the footnote. But what has not changed is that the numbers in these studies, written by smart, well-meaning people, are basically back of envelope stuff. There has not been in the United States a thorough, well designed analysis of the effectiveness of aerial attack, exactly how much retardant is needed in a certain time frame, where aircraft need to be based, and how many and what type of aircraft are required. 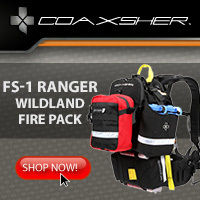 Under pressure from Congress and the GAO to justify the aerial firefighting program, in 2012 the U.S. Forest Service began a program to develop metrics and collect data to document and quantify the effectiveness of aircraft in assisting firefighters on the ground. This became the Aerial Firefighting Use and Effectiveness (AFUE) program. It will be several more years before they expect to release findings related to the effectiveness and probability of success of aerial resources. We asked “Bean” Barrett, a frequent contributor on Fire Aviation, for his view on how many air tankers are needed. He started by saying the general theme of the letter written in 2012 by Ken Pimlott, the Director of CAL FIRE, to the Chief of the Forest Service, is still applicable today. Director Pimlott said in part that the then-recent USFS Large Air Tanker Modernization Strategy was insufficient to meet the needs of the combined federal, state and local wildland firefighting missions. Bean’s further input is below. “18-28 Large Air Tankers as the Federal inventory objective? Could we be a little more precise? What if the federal requirement was defined by referring to something like required retardant gallons delivered/ hour/ mile from base/ dollar. At least then, some basic economic analysis could be used to justify inventory when it comes around to contracts and budget time. What about required number of LAT sorties/ year / GACC? Do the NICC UTF numbers actually identify requirements shortfalls? How many IMT’s don’t bother to request air support when they don’t think any air is available? UTF data would be very useful to demonstrate inventory shortfall if UTF’s represented all the unfilled need. In 2015 UTF’s represented a 10% shortfall in LAT sortie generation requirements. In 2016 UTF’s represented a 15% shortfall. Based on what I would say are very conservative UTF numbers, there has been at least a 10-15% shortfall in available LAT inventory over the last two years. Really hard to comment on inventory objectives when it isn’t clear what the Large Air Tanker mission is. To paraphrase Lewis Carroll, if you don’t know what you want to do with them, any number will be enough. Is the mission IA or extended attack? Is it ground support or independent tasking? What effects are trying to be achieved and how well are they achieved? Should an attack within 24 hours really be considered IA for an aircraft? CALFIRE wants aircraft on scene in 20 minutes. The Australians want <30 minutes. Our results confirm earlier research results related to LAT use and challenge a long-held assumption that LATs are applied primarily to assist in the building of line to contain fires during IA. Perhaps most importantly, we highlight system-wide deficiencies in data collection related to objectives, conditions of use and outcomes for LAT use. Our current inability to capture drop objectives and link specific actions to subsequent outcomes precludes our ability to draw any conclusion about the effectiveness of the federal LAT programme. A finding in the study … Mean time of day for drops was 15:39 and only about half of the drops were IA. This makes it really difficult to say that LAT’s are there to support the ground crews. Why not tie LAT requirements directly to the number and type of IMT’s mobilized? Perhaps some ops analysis would find a ratio of number and type of tankers to type of IMT’s mobilized? Or perhaps a ratio of days IMT’s mobilized to LAT sorties required for support? Start thinking like an integrated air-ground team and define air requirements in terms of IMT’s or crews mobilized and supported. When the definition of Head Quarters units [ IMT’s] composition or types of ground crews includes the number and type of aircraft included in support, the inventory objective for tankers will fix itself. I expect everyone has a much better handle on the amount and type of ground support required today compared to the very vague understanding of tanker requirements. Tie air requirements to the better understood ground requirements. Author Bill GabbertPosted on April 18, 2017 April 18, 2017 Categories Fixed wingTags study7 Comments on Does anyone know how many large air tankers we need? Tanker 45, a P2V, on the Whoopup Fire near Newcastle, Wyoming, July 18, 2011. Photo by Bill Gabbert. Titled Large airtanker use and outcomes in suppressing wildland fires in the United States, it was written in 2013 and published in the International Journal of Wildland Fire in February, 2014. The document maintained a low profile, possibly because it was behind the journal’s pay wall, rather than being an Open Access document. The authors used some convoluted methods to make guesses about which retardant drops were on IA fires and which ones were not. And, “due to data availability issues” they only considered stats from two years, 2010 and 2011. In 2010 there were 19 LATs in the fleet at the beginning of the year and 14 in 2011, but by the end of 2011 the study reports there were only 10 available. Since the air tanker fleet has atrophied from 44 in 2002 to as low as 9 in 2013, it has been impossible to always produce a LAT every time one is needed on IA. And if it does show up, the chances of it arriving while there is still a chance to slow the spread, enabling ground based firefighters to contain the fire, are not as great as they were in 2002 when there were almost five times as many air tankers. Therefore, the determination of whether or not a fire will benefit from LAT drops in IA will be directly related to the delay from ignition to drop occurrence. This delay allows a fire to grow and cross a critical threshold where fireline production of IA resources cannot catch the growing fire perimeter. When evaluated in this light, the demonstrated low success rate for IA containment could be addressed by reducing the time between ignition and LAT arrival on these fires with a high potential to escape. This would require an improved ability to rapidly recognize an individual fire’s escape potential so that LATs are ordered very early in the event. Further, this suggests that if we can improve our ability to identify when and where these types of ignitions are likely to occur we should be able to effectively pre-position LATs before an outbreak of fires. If the IA success rate could be improved through such a system, overall LAT demand may be reduced because many of the evaluated drops were associated with IA fires that ultimately escaped. The “Keating et al 2012” report is more commonly known as the Rand Report. They also make the point that although the USFS’ policy is to prioritize LAT use on IA rather than Extended Attack (EA) fires, a high proportion of LAT drops occur on EA fires. Results suggest that containment rates for fires receiving large airtanker use during initial attack are quite low. A statement like that when taken out of context, or without understanding the limitations of the report’s data, can be very misleading. If air tankers are going to be effective in IA, first they have to be near enough to the fire to arrive, preferably, within 15 to 30 minutes after being dispatched. And, they must be dispatched if not at the first report of smoke, at the first confirmation that there is a wildfire. If there is a delay until a fire officer arrives at the scene to make the decision to order aircraft, that could be the difference in effective or ineffective air tanker use. Below is a graphic that we put together showing the Unable to Fill rates for LAT requests, the number of LAT requests, and the size of the air tanker fleet since 2002.